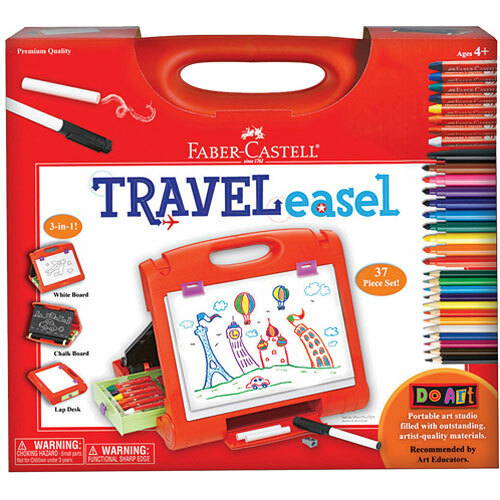 Faber-Castell’s Do Art Travel Easel is an all-in-one art studio for young artists on the go. 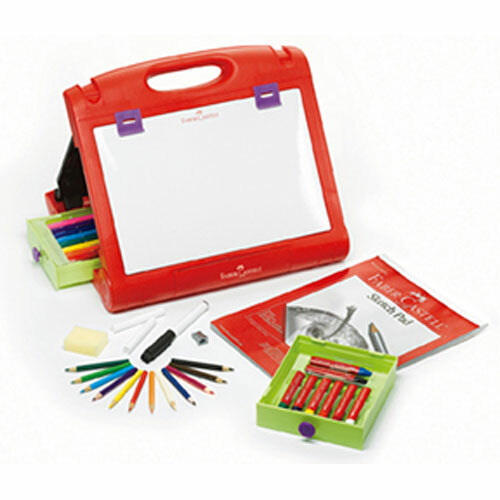 Packed with 37+ pieces of premium quality materials including beeswax crayons, markers, chalk, colored eco pencils, sketch pad and accessories. 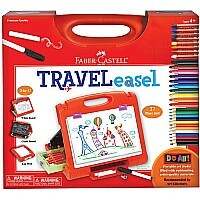 Everything stores neatly inside the multifunctional easel. For ages 4-10 yrs.